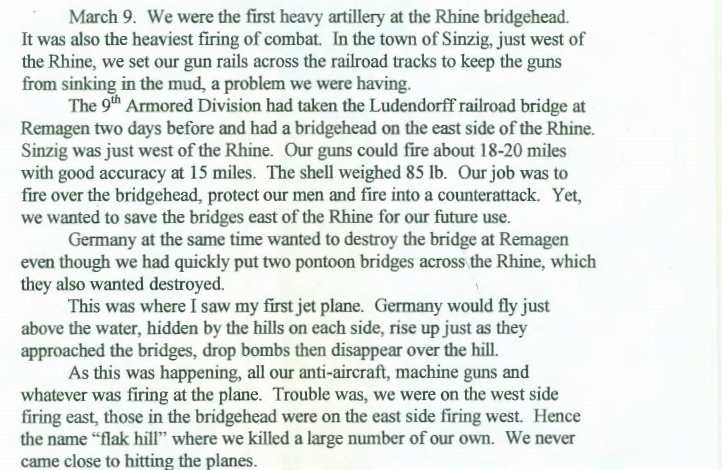 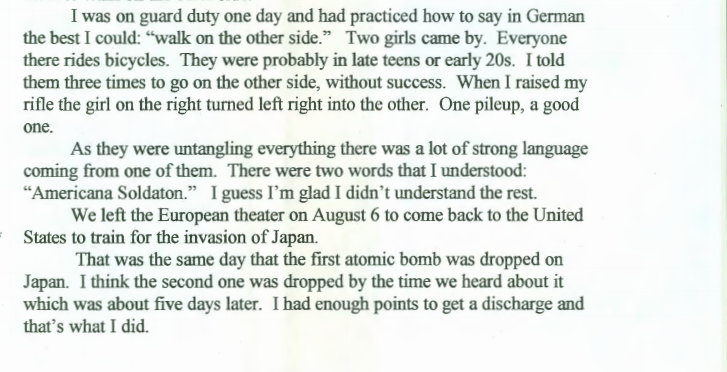 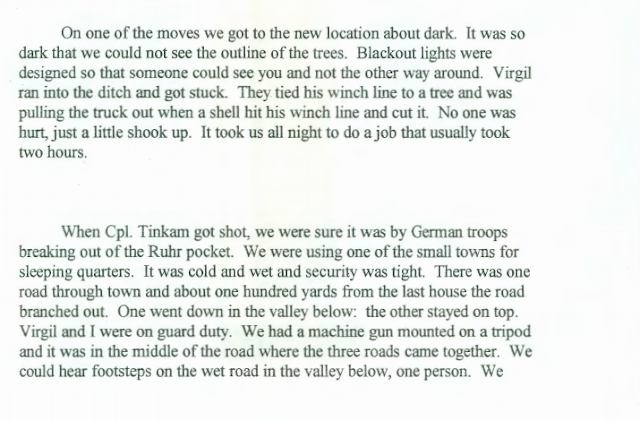 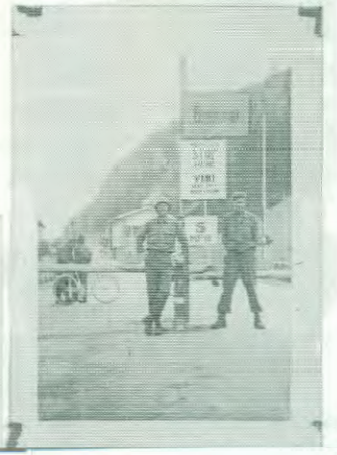 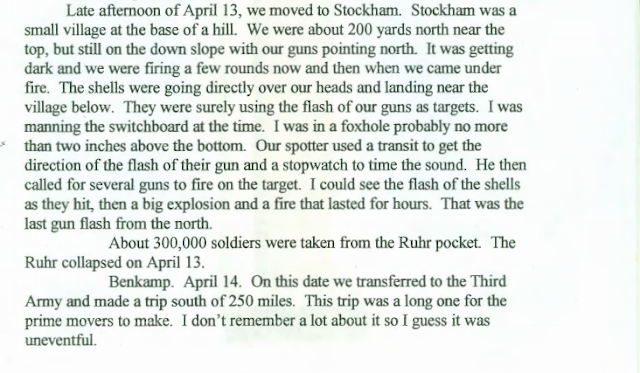 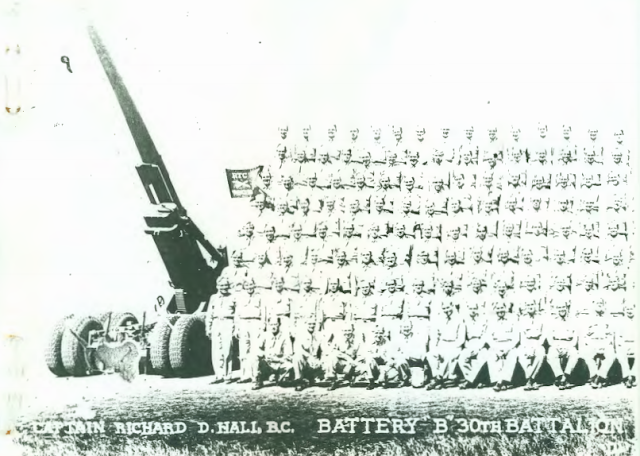 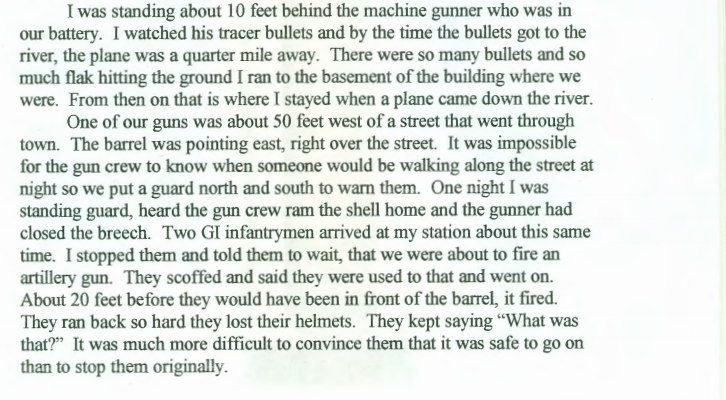 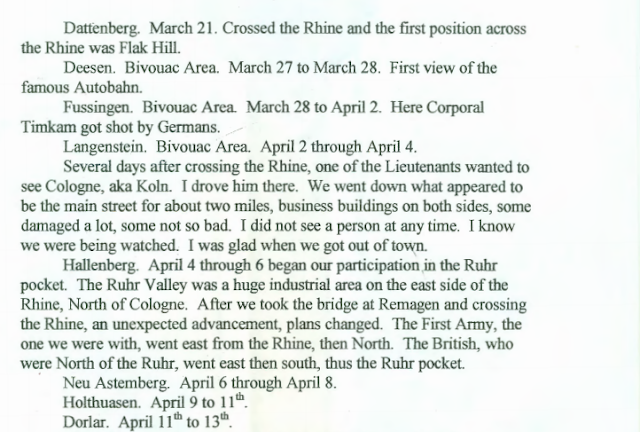 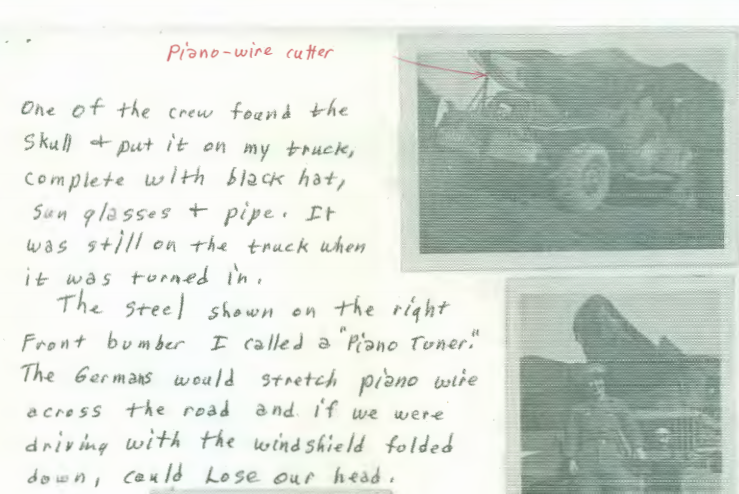 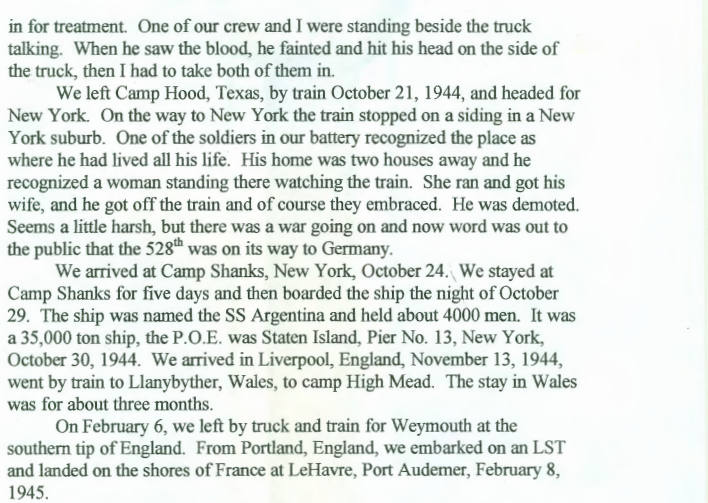 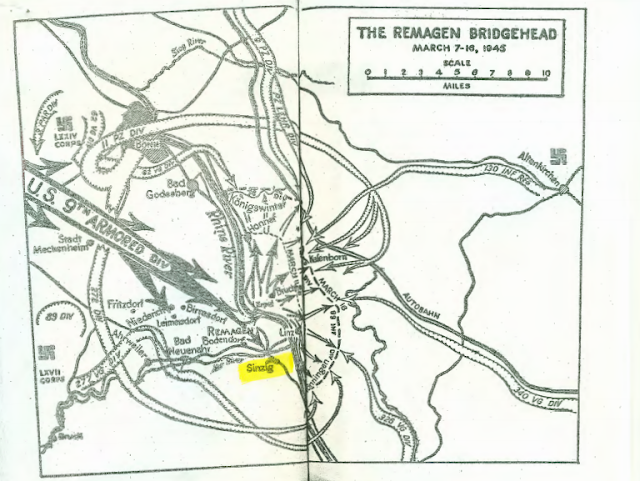 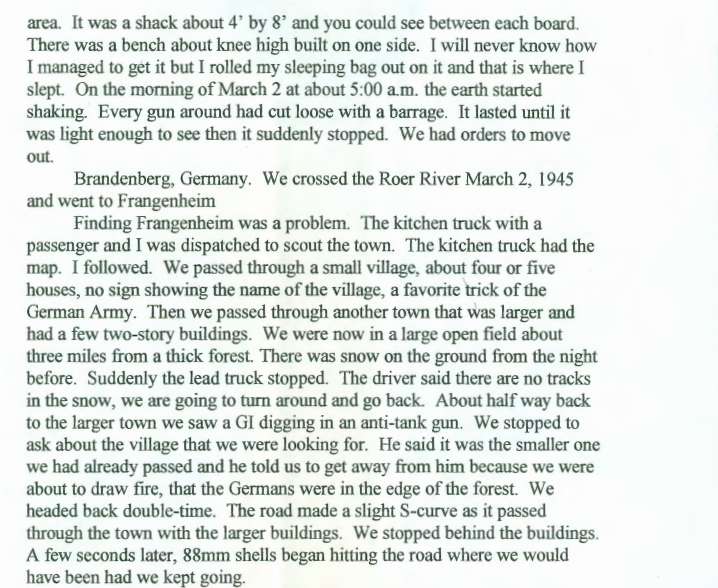 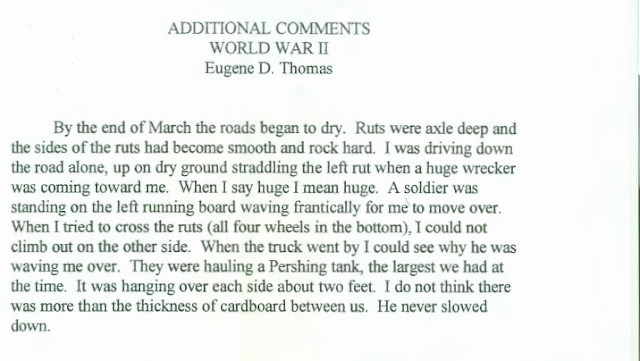 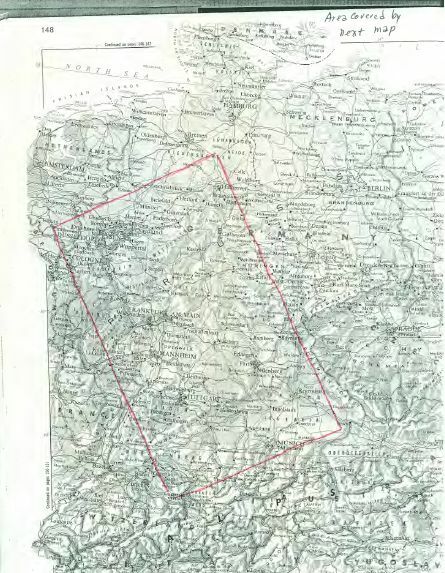 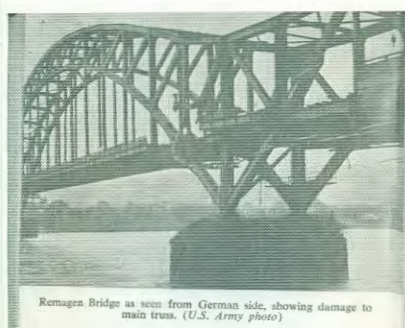 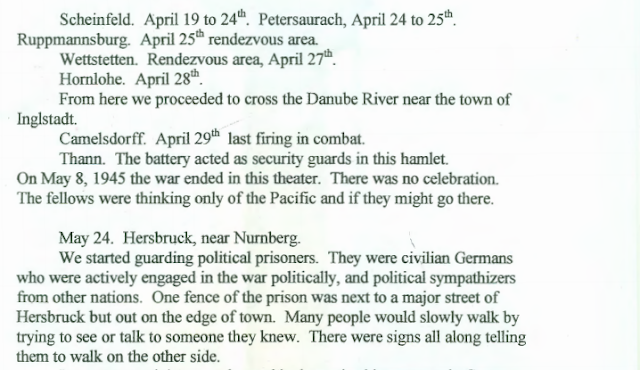 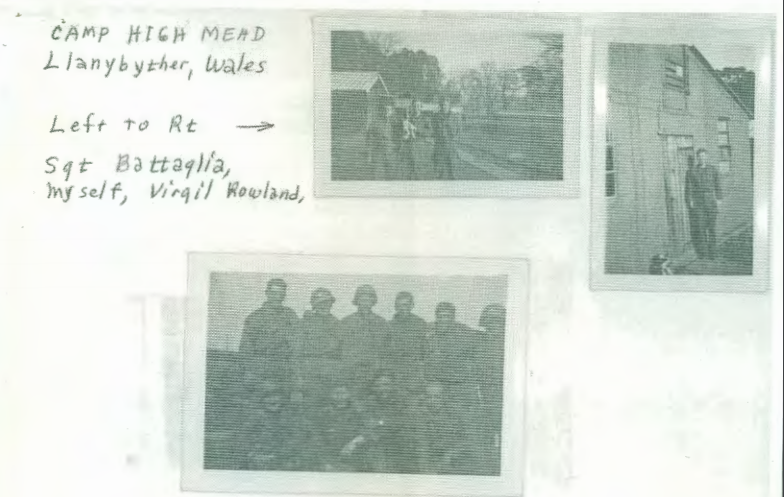 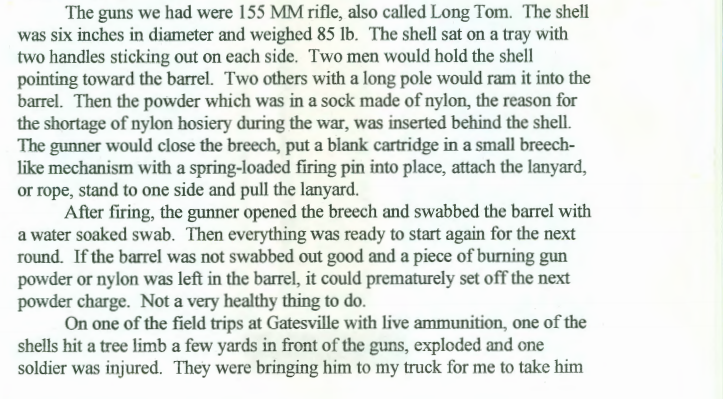 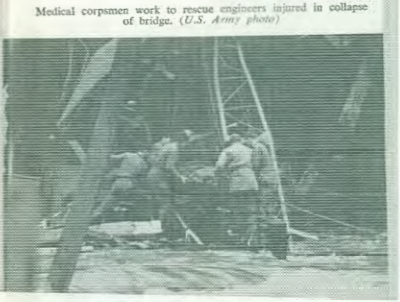 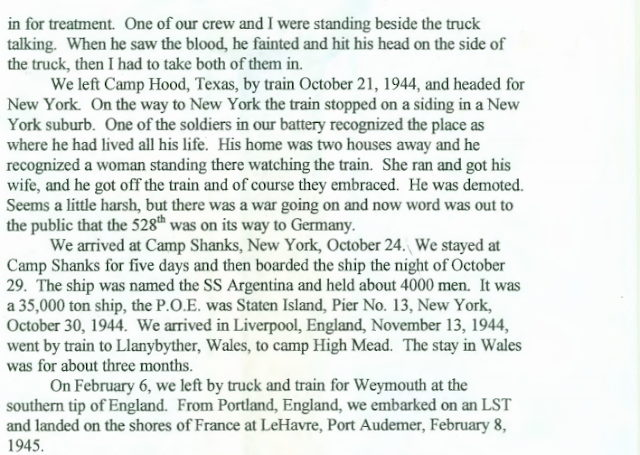 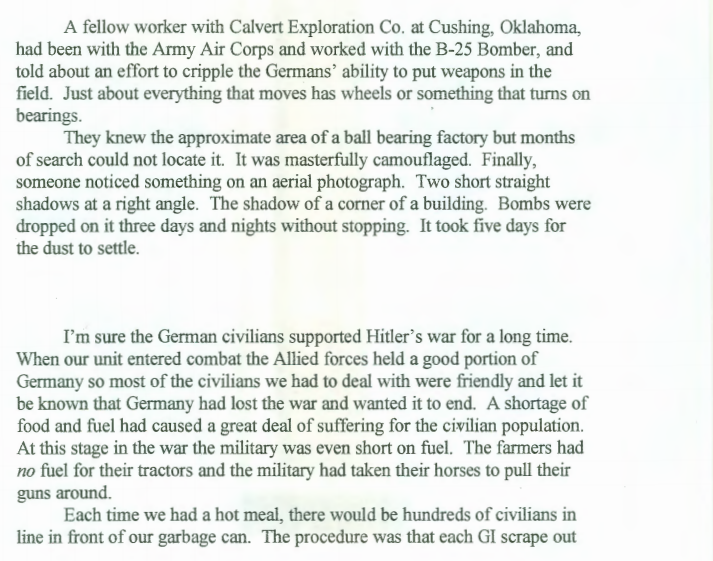 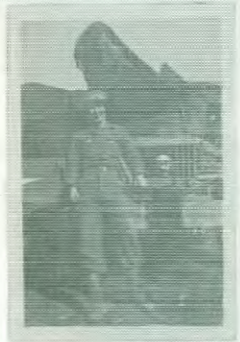 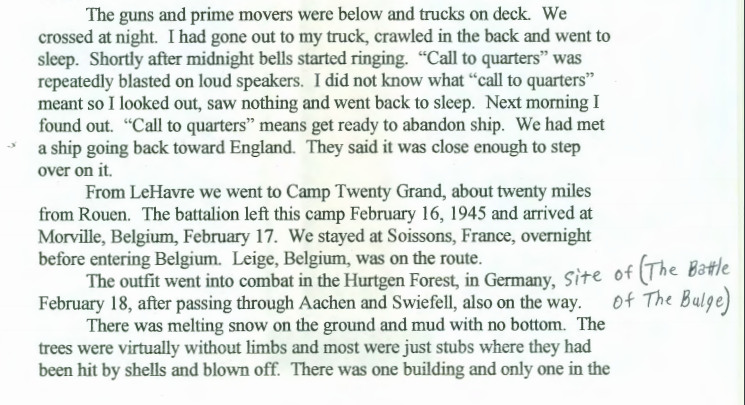 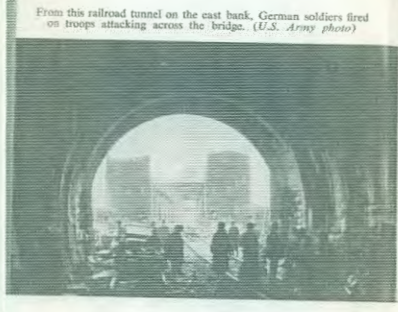 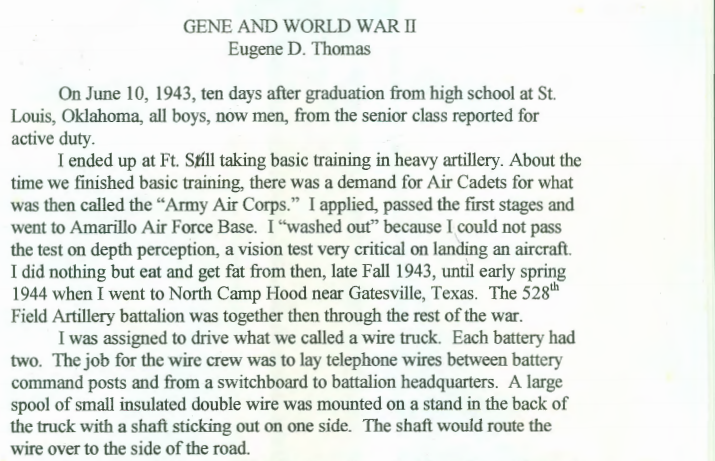 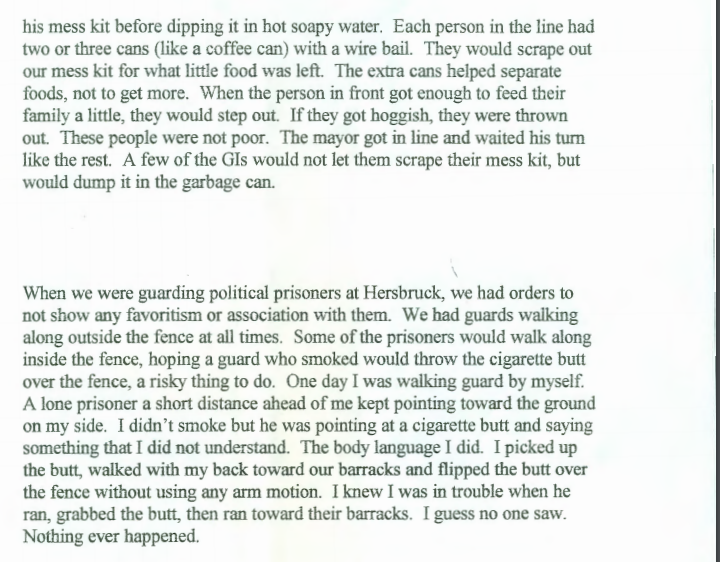 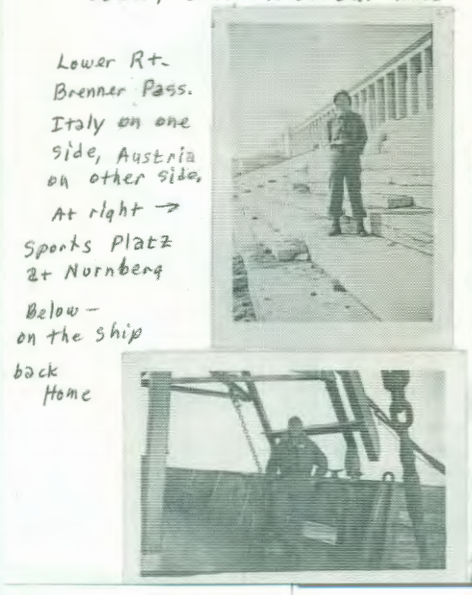 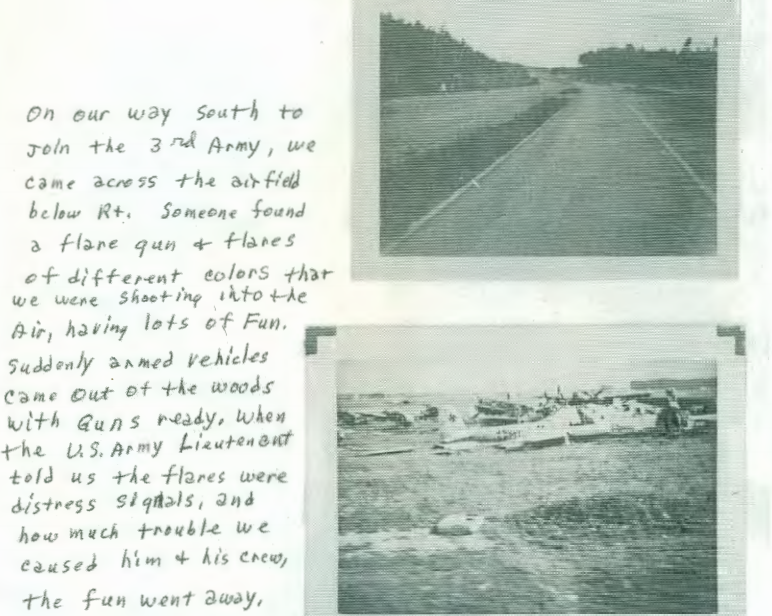 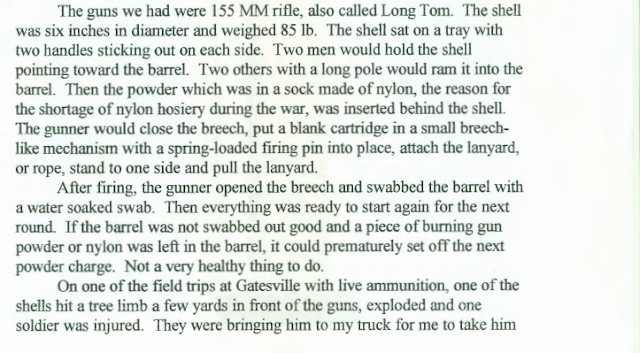 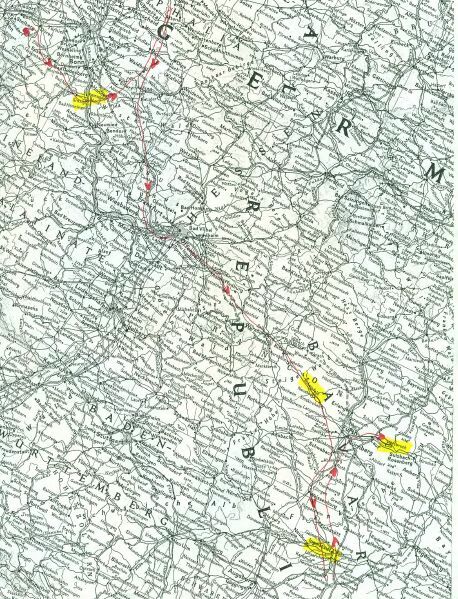 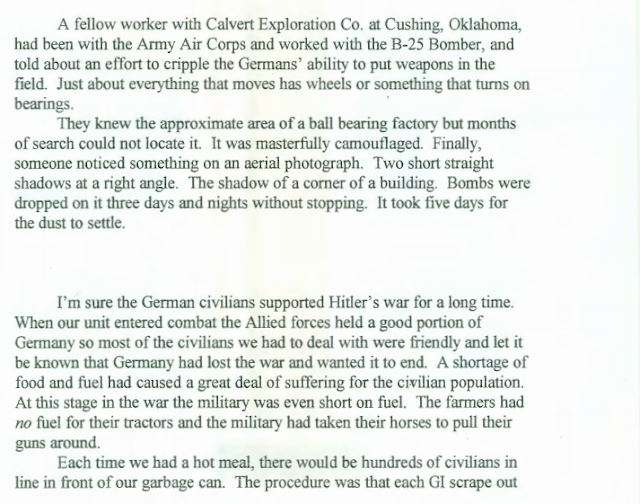 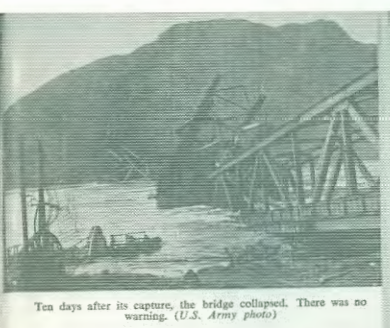 This is a scanned from my copy of my grandfather's World War 2 story in his words, compiled by my grandmother. 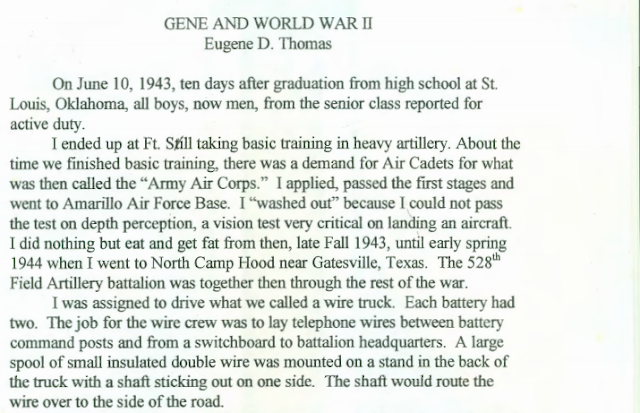 My grandfather died peacefully in his sleep in 2013. 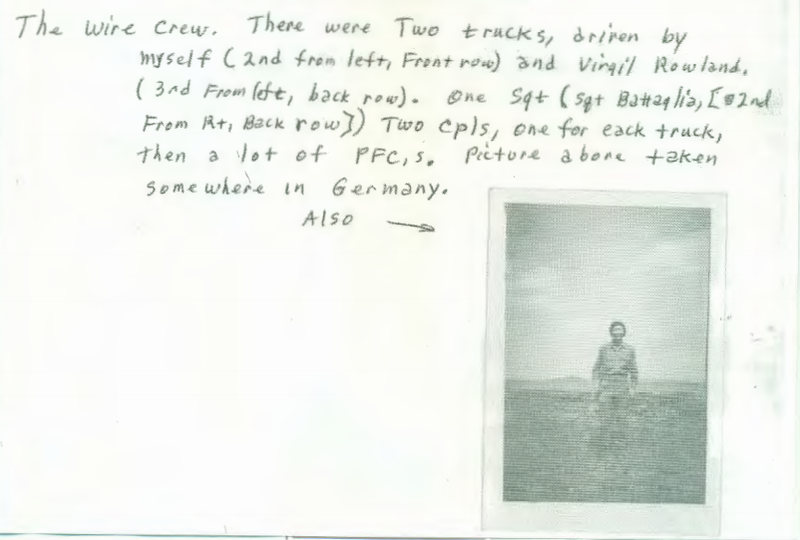 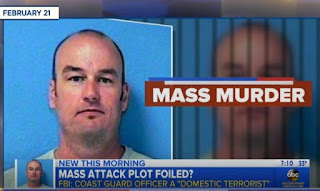 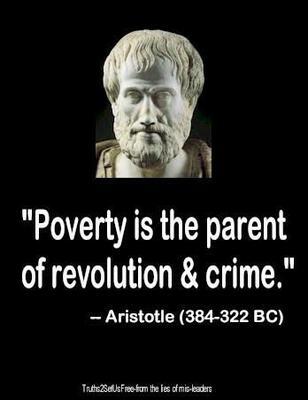 I think he would have liked people to know his story.